To end the year, we're listing the Best Android Devices of 2014 for gaming, everyday use, and battery life. 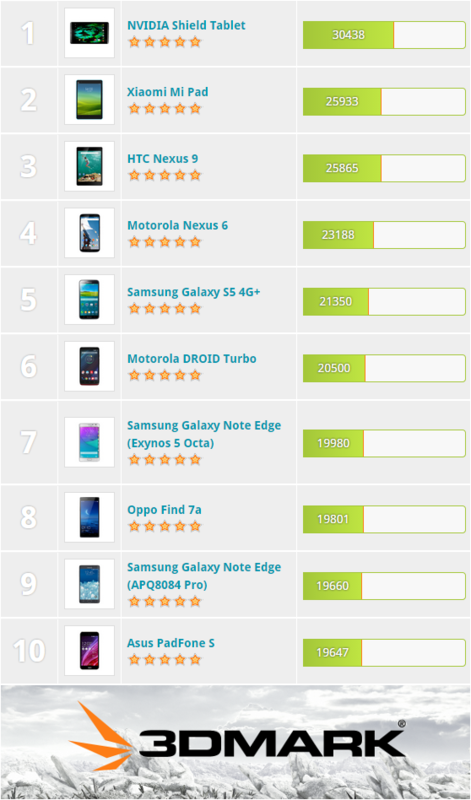 This table ranks Android devices for gaming performance using their 3DMark Ice Storm Unlimited benchmark scores. 3DMark highlights GPU performance with CPU performance having a lesser influence. We currently have 3DMark data for more than 2000 different smart phones and tablets. View the full list and compare more than 2000 smart phones and tablets.